Our secure anti-vandal units are manufactured from ex-shipping containers and are available in a variety of lengths. 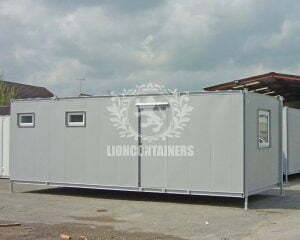 These secure, anti-vandal secure site accommodation units provide a comfortable work environment. For further information regarding cost and delivery, please contact us and a member of our team will be in touch. 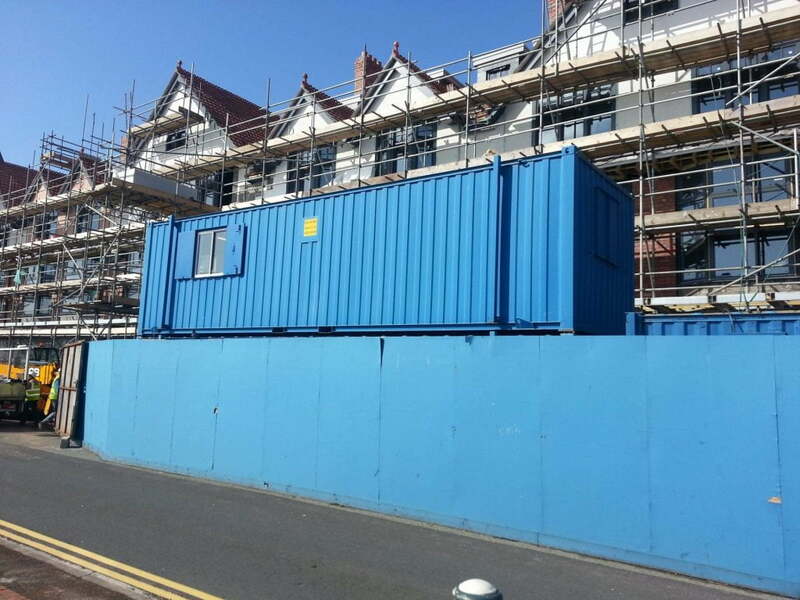 All of our secure anti-vandal units are manufactured from ex-shipping containers and are available in a variety of lengths. 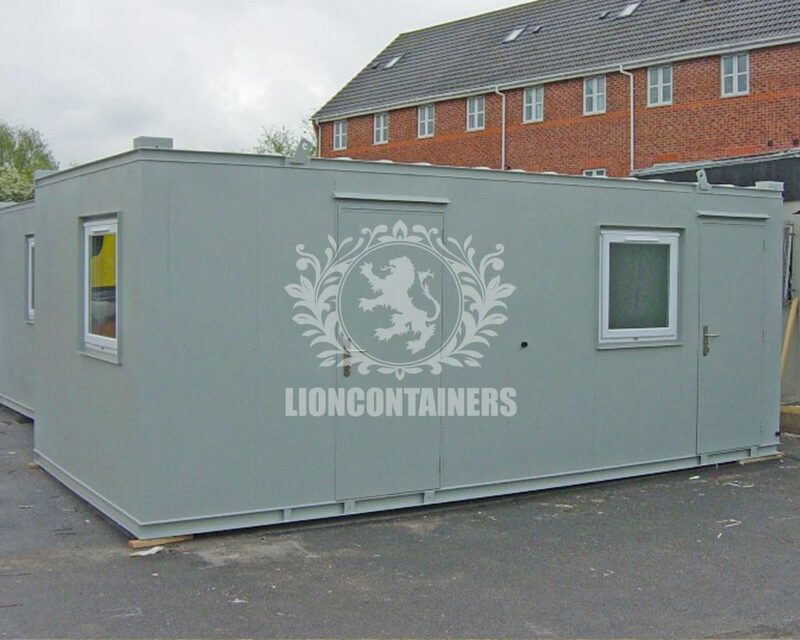 These secure, anti-vandal secure site accommodation units are converted from ex-shipping containers to provide a comfortable work environment for either a short amount of time or for something more permanent. 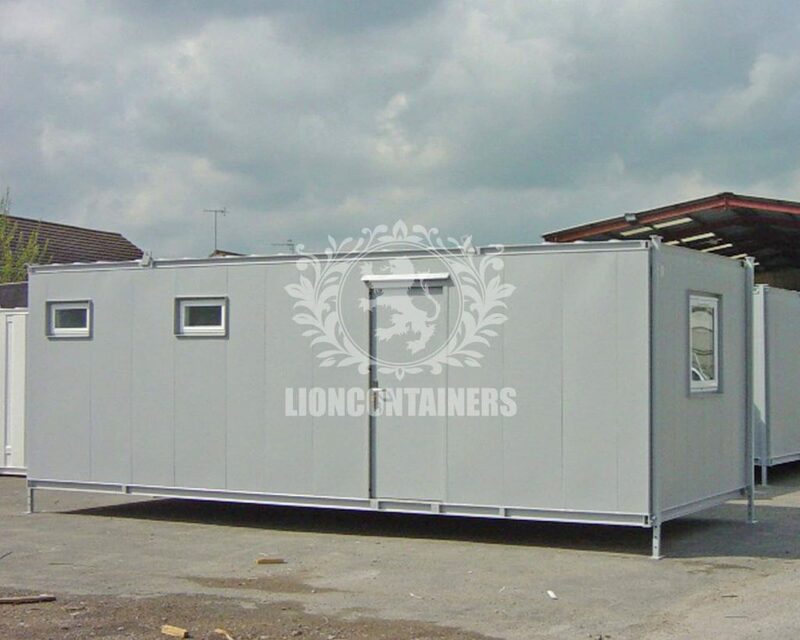 The internal finish is extremely professional with their insulated, lined container walls and vinyl flooring which make them perfect for “wiping down” after a muddy day on site. For maximum convenience and comfort, the secure units are fitted with a variety of features including heaters, lighting and powerpoints, a sink, water heater and a small worktop.Our anti-vandal units have the following specifications, but we can build to a more bespoke specification if required. 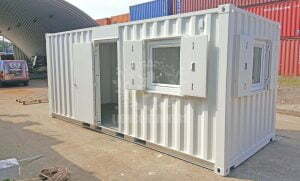 Container walls are lined and insulated. Fitted with anti-vandal personnel door. Fitted with a minimum of one window with anti-vandal shutters. Complete with kitchen sink, hot & cold running water and worktops. Complete with lighting, heating and powerpoints. Available as site offices, site canteens, mess rooms, drying rooms, site shower units and site toilet units.